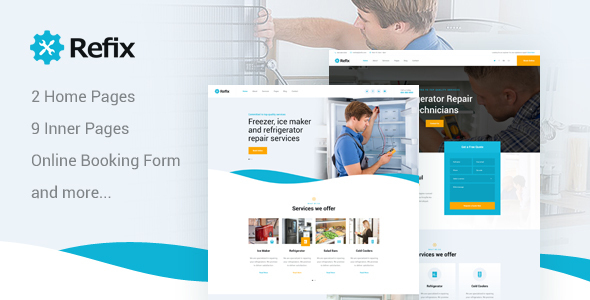 Refix is a new and clean PSD template perfect for fridge, freezers, refrigerators, ice makers and cold coolers companies. Also for installation services and appliance repair centers. Appliance repair PSD template designed for domestic and commercial fridge and freezer repair services companies solutions.